A frequent sight at retail establishments across the country, and a simple gift option, the 2018 Topps Baseball Factory Team Set cards are yet another way to collect key names with the flagship Topps design. Covering all 30 MLB teams, each 2018 Topps Baseball Mini Team Set release contains 17 players per team, with every option in an individually sealed blister pack. There are also two additional sets that celebrate top players from each league via American League and National League Standouts. Many of the choices display the same look as 2018 Topps Series 1 (with a different card number), but given the sheer size of the overall checklist, there are quite a few additional names. Of course, collectors can check out the Complete Factory Set for Series 1 and Series 2 if they are just looking for all the base cards. 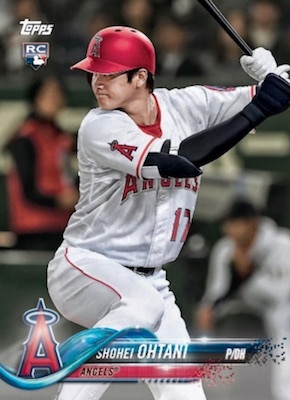 Of particular note among the 2018 Topps Baseball Factory Team Set product line is the selection for the Los Angeles Angeles. This is because it includes a rookie card for Shohei Ohtani, who was not in Series 1. And while Giancarlo Staton came in Series 1 with the Marlins, he makes the cut for the New York Yankees' 2018 Topps Baseball Factory Team Set. Although these should be fairly easy to find for the teams in each region over time, Topps is selling some of the teams directly on their website. The master 2018 Topps Baseball Factory Team checklist is provided below. Teams are listed in alphabetical order with the AL and NL sets first. 17 cards per set. 32 sets and 544 cards in total. I hate this industry. It is impossible to collect an entire set. No wonder kids don’t give a crap. I enjoy these team sets and usually they include players who otherwise never get a Topps card in the regular set. Of course the one drawback though is the usual airbrushed cards of players traded or signed during the off-season. I think they should be portrayed in the uniform of the team they came from much like the O-Pee-Chee cards used to have with either the new team logo or a “now with” annotation. Has anyone seen these in stores yet? I have not found and do not see for sale online either. 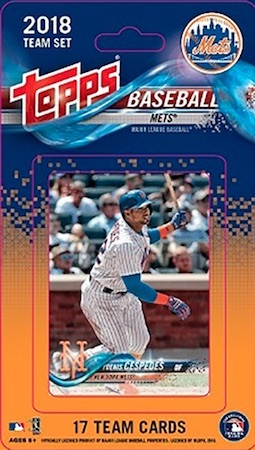 Topps sold a few of the team sets on their site but they were out of stock pretty quickly. They should start showing up more places during March.